iLoveToCreate Blog: Screenit Demos this month at a Michaels store near you! Screenit Demos this month at a Michaels store near you! 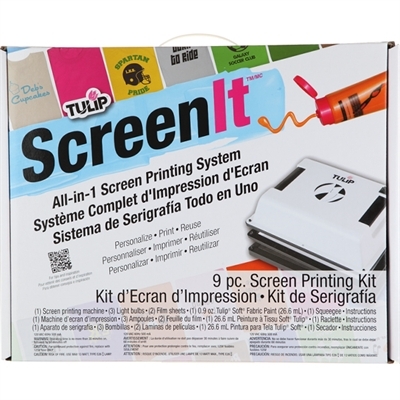 We are super excited to be demoing the new Tulip Screenit at various Michaels Arts and Craft stores throughout the nation. If you've been curious to learn more about this project, now is the time to get a first hand look at how it works and what it can do! Demonstrations are being conducted throughout the month of October, so you'll have to check the list below to see if they are being demonstrated in your local store! We are so excited to have a bevy of talented designers teaching how to use this exciting new product! Maybe sometime they'll come to MA!